Vintage themed weddings are here to stay. 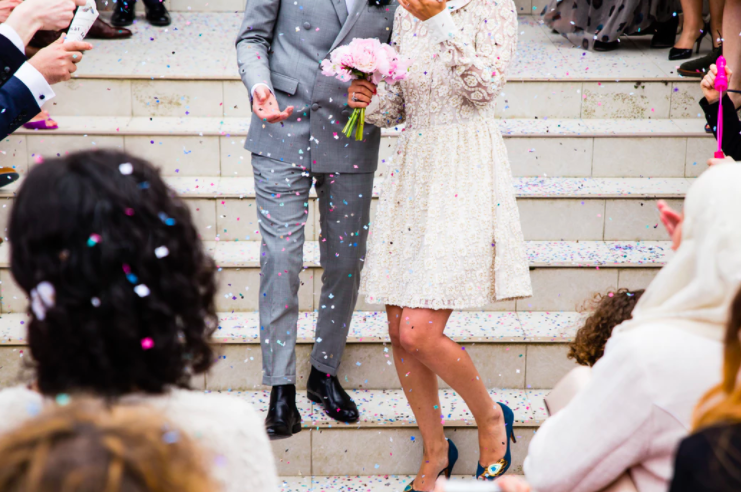 What started out as a popular trend is now a go-to style for many couples planning their wedding. While the focus is usually on the bride, the groom needs some love too! Every groom should look and feel as equally stunning as his bride. The days of simple tuxedos or suits are gone. Today’s grooms have endless options much like their brides. Men want to have their own signature style and not just a cookie-cutter outfit that every groom dons. With these many choices comes the pressure to make a selection. Even if the groom has his suit planned out, he’ll still need some finishing touches and accessories. 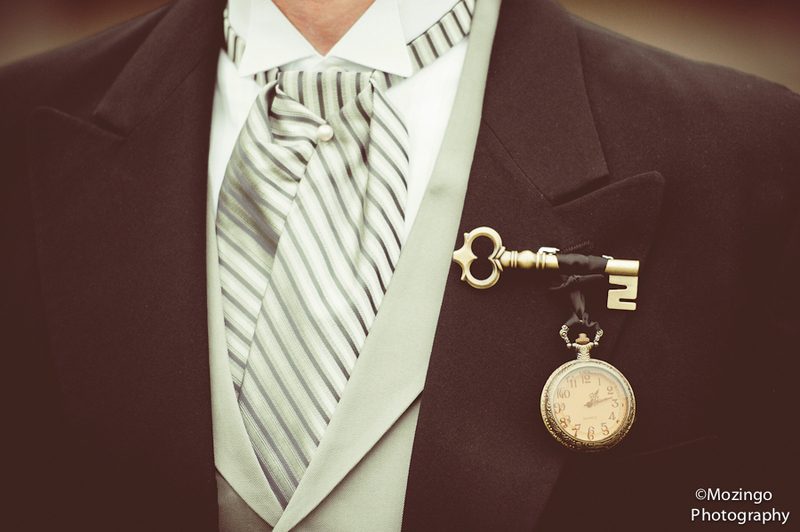 From head to toe, there are vintage pieces to deck out any groom. We’ve browsed through an assortment of styles for you to use as inspiration for your wedding day. 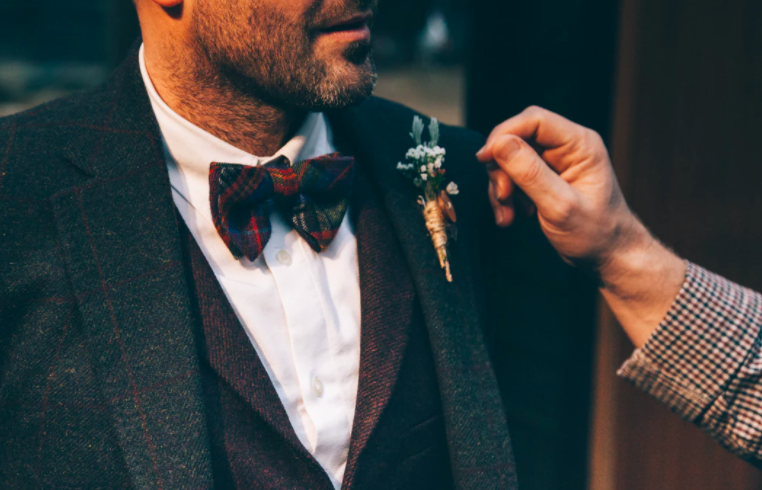 If you are preparing for a vintage wedding or would like some hints of the style in your groom’s attire, then check out some of these ten ideas to use. 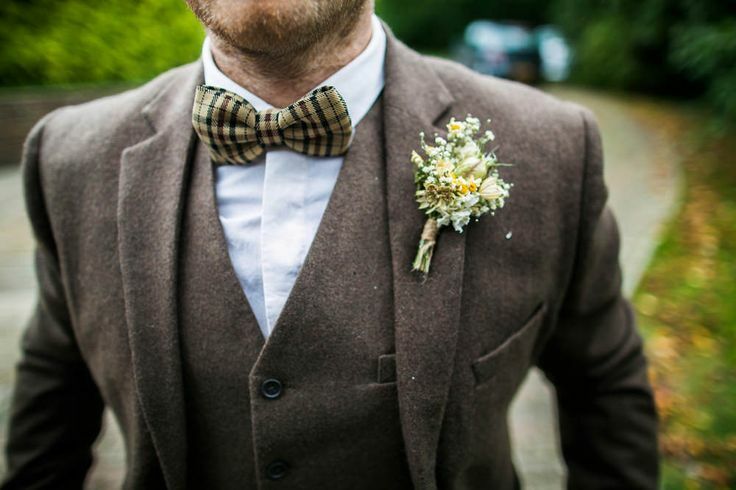 Add a waistcoat to your outfit for the perfect vintage accessory. They can be worn in any season, but especially layered for warmth during Fall and Winter. 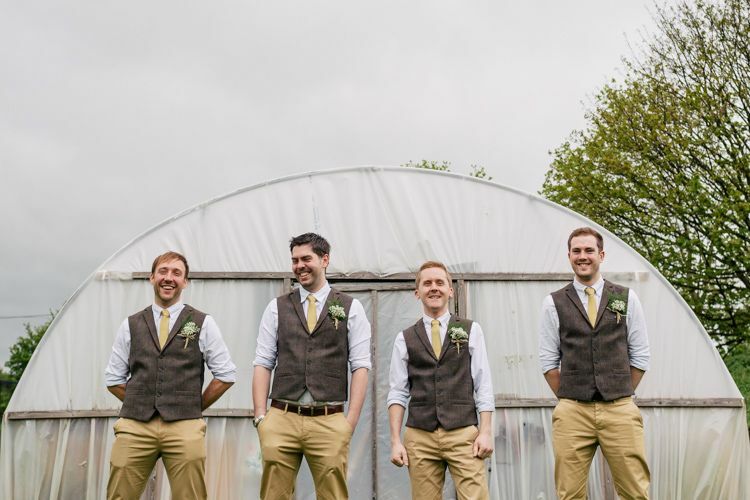 A lighter waistcoat can also be used for a cooler Spring or Summertime ceremony. Store away your traditional time piece and opt for a pocket watch instead. These vintage beauties are both practical—for helping your groom get to the alter on time—and add an elegant touch to a simple outfit. They also make a sweet gift to give, especially if its a family heirloom. For a more rustic look, slip on a tweed vest. You could also opt for a plaid pattern, depending on your wedding’s overall style. 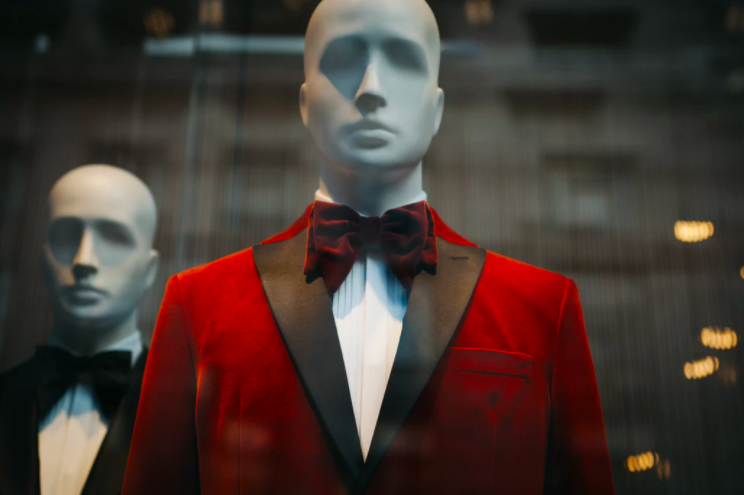 In the 16th century, before the modern-day neck and bow tie came the cravat. 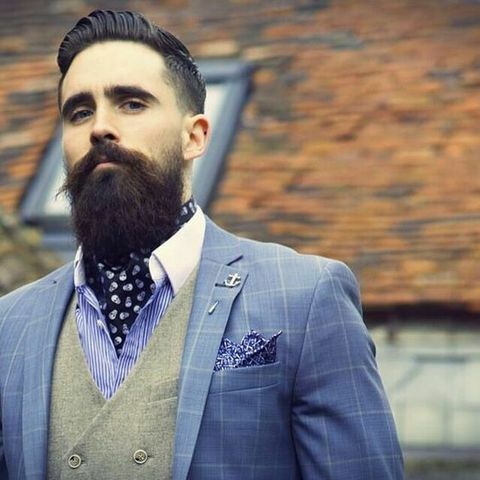 A cravat is a strip of fabric worn around the neck. It’s also referred to as an ascot. If you’re looking to make your outfit a little posh, then this accessory is perfect for you. 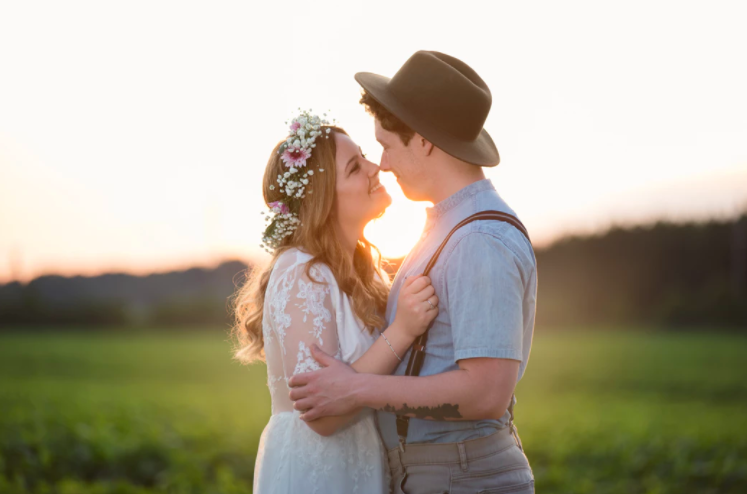 A vintage hat can top your groom’s look off. Choose from a Bowler, Ivy, Fedora or Boater to add some style to your getup. 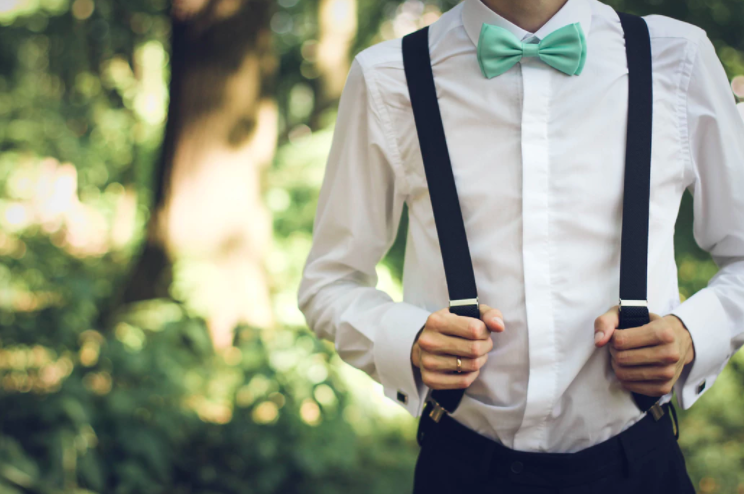 For a rustic and laidback wedding, slap on a pair of braces or suspenders. You can match them to the rest of your outfit or go for a bold statement piece that contrasts. Bow ties are a truly vintage piece for any gentlemen. They’ve been in fashion since the 18th century and had yet to go out of style. Take your pick of tweed, velvet, floral, or even a funky fabric to switch it up. Instead of a traditional linen suit, why not make a statement? Select a plushy velvet material that is both vintage and romantic. If you’re not bold enough for velvet, then tweeds, houndstooth, and plaid will also do. 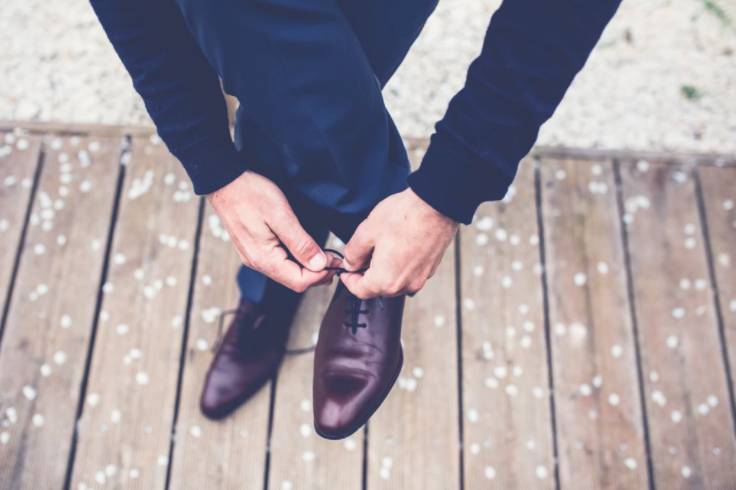 Women aren’t the only ones obsessed with finding the perfect shoe–men are too! 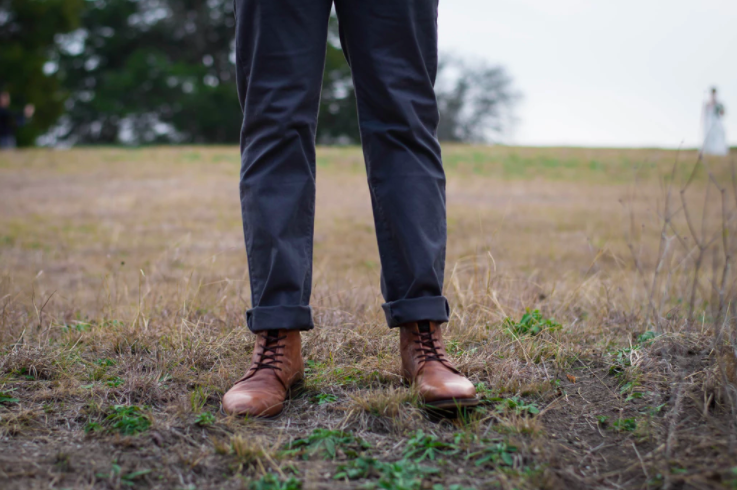 Brogues and oxford shoes are the classic vintage shoe styles to turn to. They are sophisticated and fashionable, so your groom can look his best, and more importantly they make great dancing shoes! Maybe you don’t want a vintage outfit, but you’d like some touch of old-school flair. 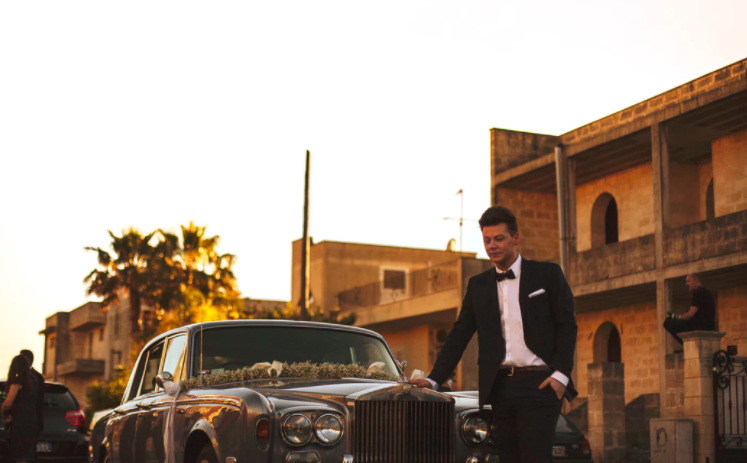 Well, why not roll up to your big day in style? Hire or splurge and buy a vintage car to drive you away from your wedding and into the sunset.